Whatever you you eat, whether it’s gluten free or not, a nutritious, healthy balanced diet starts with considering quantity, quality, and variety. The goal being to ensure that your body receives all the essential vitamins and minerals it needs. For those who are avoiding gluten, the good news is that with the rise in people avoiding gluten, availability of gluten free products has also increased, making it easier to avoid gluten. However, many food companies are adding ingredients or adjusting the formulation to make the gluten-free food offerings taste more appealing but losing nutritional elements along the way, so it’s vital for you to look at the types of gluten free foods you eat.How do you avoid gluten in your diet? Learn to read labels: Common forms of gluten, such as wheat, barley, oats and rye, are easy to spot but avoiding these products can be challenging since wheat is often labeled by other names. Avoid anything with bulgar, durum flour, farina, graham flour, semolina and spelt. Do your research so you know exactly what to avoid when reading labels or a menu. If you have questions, contact the coeliac society to help you through the process of going gluten free. Beware of hidden gluten: Gluten is included in many products that you might not expect like condiments, sauces and drinks, e.g., raw meat is gluten free, but processed meats, deli meats, sausages and hot dogs often add flour (which contains gluten) as filler or to add texture to the product. If possible, go organic: By choosing gluten-free foods that are also organic, you will avoid consuming unnecessary additives, chemicals and pesticides. Be creative: Giving up your favourite foods can be frustrating, but you don’t have to because with a little time and creativity, you won’t notice the difference, except in the way you feel. Don’t be afraid to try different combinations and new recipes using our LiveFree GlutenFree mixes. Remember the only limit to your balanced nutritious and tasty gluten free diet is your imagination ! There’s no problem about asking questions about gluten-free diets to make the right food choices for you and your family. The first step is speaking to a registered doctor, nutritionist or dietician if you think you or your family member are gluten intolerant. Anyone concerned with health and wellness has heard about the gluten free diet. Eliminating gluten is critical for those who have coeliac disease or non-ceoliac gluten sensitivity. What many gluten-free newcomers don’t realise is that many common gluten-free foods contain ingredients that just promote a different set of health problems. In this article we’ll discuss how to avoid this common pitfall so you can transition more easily to a healthy glutenfree diet. Many people rely on packaged and prepared foods for the bulk of their diet, such as breads, pastas, crackers, sauces, and mixes. The tendency when going gluten-free is to replace those items with gluten-free versions of the same products. When you look at the label for packaged gluten-free products, however, you will see ingredients such as rice flour, tapioca starch, corn starch, and potato starch, plus a load of unhealthy fats. Though free of gluten, these highly-processed, high-sugar, high-carb, low-fiber ingredients can contribute to blood sugar imbalances that affect weight gain, mood, brain function, and other aspects of health. Many of these processed foods also lack vital minerals and nutrients, which over time can contribute to micronutrient deficiencies. Overall, the general lack of nutritional density of packaged gluten-free products outweighs their convenience. Variety, nutrient density, and whole foods key in healthy gluten-free diet When choosing to go gluten-free, keep in mind the basis for any truly health-supporting diet: simple, fresh, whole foods that are as close to their original state as possible. The more processed a food is, the less it has to offer your body in the way of nutrition and health. Variety and high nutrient-density foods are key for long-term health; a diet of only cheese and rice pasta won’t make you much healthier than your former gluten-laden diet did. When you’re craving the comfort of carbs, go for a baked sweet potato instead of bread. Curb cravings by eating a diet heavy in fresh vegetables and modest amounts of fruit (so as not to imbalance blood sugar). You may need to retool your eating habits but you will be amply rewarded with significant improvements in how you feel and function. You will quickly develop an eye for those low-nutrient, highly processed ingredients, and learn what products contain them. These should never, or rarely, be in your grocery cart. Also, learn which common ingredients have hidden gluten in them, and eliminate them from your kitchen. When you pick up a package of processed gluten-free food, ask yourself if you’d normally eat it, or if you’re picking it up just because it says “gluten-free.” You may find yourself putting a lot of things back… especially if you look at the nutrition label! Remember every day why you have chosen to go gluten-free; you are honoring your own body and long-term health by making a positive choice. Stick with it! Coeliac Disease is not a lifestyle choice ! Okay, given the title of this post if you thought I was going to go a little Hedwig than sorry to disappoint you — and quite frankly while I do have the legs for it we’ll just leave it at that. It is just that I keep seeing so many online conversations linking a gluten-free diet to a “healthy” lifestyle. Yes, we have all seen one celebrity or doctor or “doctor” tout the benefits and often miracle transformations that take place when one simply removes gluten from their diet. I mean after all wheat (and all gluten) is of course enemy number one. In case my sarcastic tone is not coming though loud and clear let me clarify. Perhaps it was my recent annual physical that had me taking a good look at my lifestyle habits — particularly when it comes to food and you know where I landed? I am actually extremely happy with the choices I have made. You see, as I look up from my Vermouth on the rocks (see what I did there) it doesn’t matter that I am a diagnosed Celiac. It doesn’t matter that I am hyper-allergic to all shellfish. For you see, in a perfect moment of reflective clarity I realized, I would live my life exactly the same way whether I had those added restrictions or not. Yes, it seems obvious that I would be living one way or another because quite frankly the other option really stinks — but I am talking about the choices we all make. I choose not to really exercise. I choose to indulge in chocolates and sweets. I choose to have a cocktails. I choose to eat wonderfully medium rare red meat. I choose to eat perfectly salty chips. Now I am also not saying that I do any of the above in mass quantities and I more often than not make somewhat smarter choices when it comes to what I eat. But those are all lifestyle choices and having celiac disease is not a choice nor is living a gluten-free lifestyle — it is out of necessity — and to be completely honest if I could trade-in my diagnosis and allergies I’d do it in a heartbeat. I also take a proactive stance on my personal health with regular physicals to monitor what’s going on and make any changes that need to be made. Will I ever be the epitome of perfect fitness — nope — it’s not who I am. Have I sometime been criticized for eating less-than healthy gluten-free replacements? Abso-freaking-lutely! Even if I did not have to live a gluten-free life I’d still be eating the same exact things just full of gluten and that’s just fine. As adults we all make our own choices and if they sometimes come with future consequences well than guess what — we also have to be accountable to no one but that person looking back at us in the mirror. Oh, and back to my physical again, after the usual battery of tests were completed an analyzed my doctor was happy to report that given my lifestyle there is a 2% chance that I will drop dead of a heart attack OR as I prefer to look at a 98% chance that I won’t. I mean I live in New York City after all — I could be struck-down crossing the street by any number of moving vehicle types or delivery guys on bicycles and I do not want my final thought to be Boy, I wish I had that gluten-free burger for lunch. So as someone who lives and breathes data and analytics in my day job, I’ll take that 98% thank you very much! Going GlutenFree: Here’s what you need to know…..
A gluten-free diet is a diet that excludes gluten, which is a protein composite found in grains such as wheat, barley, rye and triticale (a cross between wheat and rye). Why are so many people going gluten-free? What are the benefits/risks? A gluten-free diet is necessary to treat individuals with celiac disease and those with gluten intolerance. Gluten can cause inflammation in the small intestine, abdominal bloating, malabsorption of vitamins, skin rash, and joint pain of individuals who have celiac disease or are intolerant. Eating a gluten-free diet helps these individuals control their signs and symptoms and prevent complications. The appeal of weight loss draws many people to the gluten-free diet craze. Gluten itself is not “bad” for you and many healthy whole-grain complex carbohydrate foods contain gluten. Claims of boosted energy are common among people who have cut gluten out of their diet but if you do not have sensitivity to gluten, you may not notice a significant boost in energy. Cutting gluten from your diet means getting rid of many foods that make up a daily source of nutritional value, which can be unhealthy for an average person. Foods containing gluten are high in B vitamins, zinc, magnesium, fiber and calcium. To make up for the loss of nutrients, adding other foods will be necessary which can help increase energy levels and potentially help with weight loss. Individuals that cut out processed carbohydrates and replace with fresh foods are naturally going to feel a bit better from the change. What can you eat and/or supplement in your diet to make up for the loss of nutrients that come in foods normally containing gluten? NB: Certain grains, such as oats, can be contaminated with wheat during growing and processing stages of production. For this reason, doctors and dietitians generally recommend avoiding oats unless they are specifically labeled gluten-free. How should one start a gluten-free diet – Top 5 Things? It’s a good idea to first consult your physician or dietitian. Clean Out Your Kitchen: Before you can start the gluten-free diet, you need to clean out your kitchen and get rid of everything you no longer can eat. Dispose of all baking mixes, segregate or give away other gluten-containing products, and buy yourself some new condiments. Since it’s possible to get symptoms from the tiniest morsel of gluten, you’ll need new kitchen appliances that may have traces of gluten on them. Start With Fresh Produce and Lean Meats: Limit your diet to unprocessed foods at first. Fresh fruits and vegetables don’t contain gluten, nor do lean meat, poultry and fish products. Eat as simply as you can, using only fresh herbs, salt and pepper to season your foods. Try grains such as corn-based and quinoa in moderation, and don’t introduce packaged foods – including those labeled “gluten-free” – until you have a better feel for the diet and how it affects your system. You still need complex carbohydrates in your diet and brown rice, sweet potatoes, and quinoa are healthy gluten-free foods to consume. Expand to Include Gluten-Free Labeled Products: Once you’ve mastered the basics, foods clearly labeled “gluten-free” represent the best way to start expanding your gluten-free diet. Learn to Read Food Labels: To really expand your diet – and to figure out which of your old favorites you might be able to include – you’ll need to learn to find gluten on food labels. In fact, you’ll probably become a bit of a detective, learning to search for the meaning of various terms you’ll find on different products. You’ll also get quite an education on the different ingredients that make up processed foods. Just remember: Manufacturers can label something “gluten-free,” but food labeling laws do not require disclosure of gluten-containing ingredients on food labels. If something has no obvious gluten ingredients listed, but doesn’t carry a “gluten-free” label, it might contain barley or rye, or be subject to gluten cross-contamination at the food processing facility. In addition, keep in mind that wheat-free does not equal gluten-free, so don’t be fooled by foods labeled “wheat-free” – they’re probably not safe. A gluten-free diet, the only known treatment for people with celiac disease, has become fairly popular recently, and even those without gluten sensitivity have begun to endorse it as a way to improve their quality of life. “It seems to be the latest rage, with many celebrities promoting the gluten-free lifestyle, a multitude of books being published, and countless numbers of articles appearing in the press about the supposed benefits of a gluten-free diet,” wrote Wendy Marcason of the Academy of Nutrition and Dietetics (formerly known as the American Dietetic Association). Some of these supposed benefits circulating the media include better sleep, increased energy, and weight loss. According to the Academy of Nutrition and Dietetics, as many as 3 percent of Americans could be affected by celiac disease, although the actual statistic is unknown. Celiac disease is an autoimmune disorder that is triggered by the consumption of products that include the protein gluten. Complications of this disorder include digestive problems, abdominal pain, and damage to the small intestines. 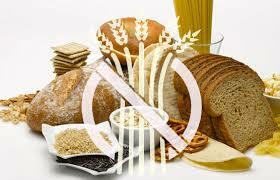 The Mayo Clinic states that for people with celiac disease, being on a gluten-free diet is a life-long process. However, avoidance of gluten does not guarantee a lack of symptoms. This diet only provides the benefit of drastically reducing those symptoms. Like any other diet, gluten-free eating involves many restrictions and limitations. Some of the constraints include not eating wheat, rye, barley, bread, and pastas, or drinking beer. Yet with the recent trend of non-prescribed gluten-free diets, many new products have entered the mainstream, such as gluten-free breads and pastas. Some experts suggest that a gluten-free diet is unnecessary for healthy individuals without gluten sensitivity. The Mayo Clinic states that people on a gluten-free diet risk getting low levels of vitamins and nutrients. Many grains like wheat and barley, which are avoided in a gluten-free diet, are important sources of vitamins and nutrients. Not getting enough of these grains may lead to deficiencies in B vitamins and iron levels, so a gluten-free diet should be accompanied by dietary supplements. On Jan. 7, 2014, Michelle Castillo of CBSNews.com commented on some of the diets found on U.S. News & World Report’s Best Diets. Surprisingly, the gluten-free diet was not ranked on the list created by the panel of experts. The main reason for the cut was that “it was first designed for medical purposes,” according to Castillo. Gluten-free diets involve many restrictions and lifestyle changes that can be difficult for people who are not afflicted by celiac disease to follow. Therefore, the diet is most likely unnecessary for healthy individuals without gluten sensitivity. But as always, before starting a diet it’s important to consult a dietician, a doctor, or expert advice. As the famous saying goes, it’s beginning to look a lot like Christmas (!) with the party invites starting to appear on the calendar from friends, work colleagues and of course, family. Christmas can certainly be one of the toughest times in the year for people living with Coeliac disease, predominately due to the lack of awareness the people we celebrate with have about our special dietary needs. So this year, LFGF, with the help of Coeliac Australia, would like to provide you with a list of alcoholic beverages that you can and can not have this silly season, to ensure everybody has a “jolly” gluten-free Christmas. The list is taken from the 9th edition of the “Ingredients List” by Coeliac Australia. This is a little booklet provided to their members. If you are not yet a member, we highly recommend you sign up. As you know, we have been tested and endorsed, which is why you see the “no wheat” logo on all our products. As Australia has the strictest Gluten Free standards in the world, achieving our endorsement is no mean feat!! That said, we hope everyone has a jolly gluten-free Christmas, but please remember to drink responsibly, don’t drink ‘n’ drive and always organise a designated driver to take you home. Wine, including sparkling varieties and cider, is gluten free. Liqueurs spirits, champagne, sherry, port and brandy are traditionally made from gluten free ingredients, or are distilled, and are suitable for a gluten-free diet. Distilled spirits are acceptable for people with following a gluten-free diet. Although some spirits may be produced from wheat, rye or barley, they undergo a distillation process that ensures protein (gluten) is not carried over to the final product*. Beer, ale, lager, stout and Guinness are produced by the alcoholic fermentation of germinated cereals, usually barley, and may contain varying amounts of gluten. These are NOT suitable for a gluten free diet. The colour of apple cider, fortified wines and spirits may be enhanced by the addition of caramel colour. Although caramel colour can sometimes, but not always, be derived from wheat starch, it always tests as gluten free. Accordingly normal beer, ale, lager, stout etc. are the also alcoholic beverages to be avoided. * A note from Robyn: We recommend you still stick to rum based not whiskey based spirits. Local Business Banker, Tarcisio Cossettini, from Westpac Capalaba branch has recently become a fan of our LFGF products. Personally, we think this is great and who doesn’t love a corporation willing to support local small business?! Our Live Free Gluten Free products will be on display at the branch in May 2013. Thank you Tarcisio and Westpac for supporting little old LFGF. There’s nothing like local knowledge to help gain a winning edge. As your local business banking expert, contact me for advice with managing and growing your business. The key to successfully following a gluten free diet is to read the labels on food packages. All packaged foods which contain more than one ingredient (like our own LFGF Mixes) must display a list of ingredients on the package. Ingredients are listed in descending order, from largest to smallest. Reading the products ingredient listing is an essential part of choosing gluten free foods. By learning which ingredients contain gluten, you can determine if a food is gluten free. Right now, Live Free Gluten Free is offering free delivery on ALL our mixes and ALL sizes! Orders must be made online: click here So order your Live Free Gluten Free mixes today and have them delivered right to your front door! Have you ever tried one of our recipes or products but it didn’t work out? Or perhaps you have recently been diagnosed Coeliac and are worried about what you now can and can’t eat? Contact us at your convenience because we genuinely care about our customers and firmly believe that living Gluten Free should never be taste free.